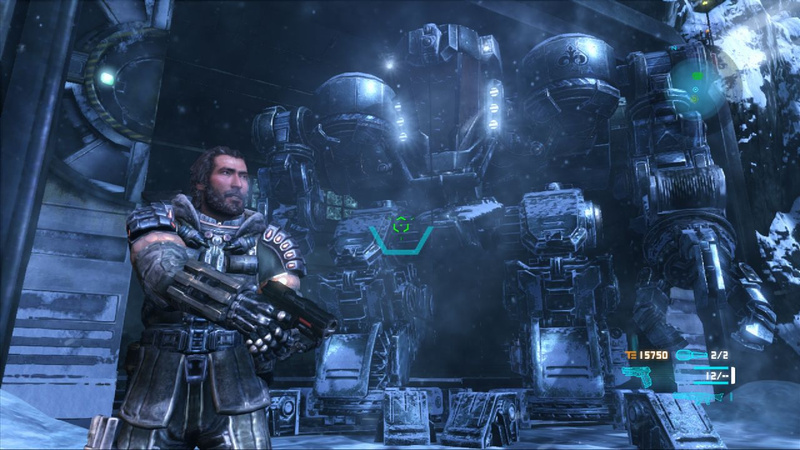 Lost Planet 3 is a far cry from its predecessor’s grind-heavy, co-op based campaign. It’s a linear adventure that’s driven by narrative, and the gameplay borrows elements from several different genres and other titles. It’s a game that plays it safe, and for that reason it feels inherently familiar. But that’s not necessarily a bad thing. You play as Jim Peyton, a hardworking contractor and bearded man, who leaves his wife and baby son on Earth while he jets off into space in order to make a living. Our planet is all but drained of resources, you see, and people are desperately looking for new ways to solve the energy crisis. Jim ends up on the series’ trademark frozen planet, E.D.N III, where paramilitary organization NEVEC is funding a mining operation. The material up for grabs is T-energy, a glowing orange substance that conveniently stands out against the snow-covered terrain. Not so convenient is the fact that T-energy can also be readily extracted from the local wildlife through the process of blowing the critters to pieces. E.D.N III’s indigenous alien life forms, the Akrid, are back for this newest instalment, and as always they play a major role throughout the game. By the end of this 15 hour journey, you’ll have killed hundreds of these insect-like creatures, which range from small, scuttling enemies that resemble facehuggers, to massive, armoured crustaceans that may or may not have weak points. To take the monsters down – big or small – you’ll need guns and plenty of ammunition. The weaponry on offer isn’t very original, but each shooter feels unique and satisfying to fire, especially the shotgun, which packs a brilliantly punchy sound effect. You can purchase the weapons and their subsequent upgrades using T-energy retrieved from dispatched foes, although there isn’t too much merchandise on offer. Each gun only has one further add-on, which means that customising them to suit your style of play sadly isn’t an option. The shooting itself is standard third-person fare, but while watching enemies burst into orange paste after taking a few bullets is a joy to behold, the mechanics themselves do nothing to stand out from the crowded genre. That said, the majority of the foes that you’ll be facing rely on melee attacks, so staying mobile while spraying bullets is a necessity, and in this respect, combat can feel somewhat unique. Against bigger adversaries, timing your dodge roll is paramount to success, and thankfully the manoeuvre is both quick and responsive, providing many battles with an enjoyable sense of urgency as you dive away from the path of a rampaging beast. When you’re not gunning down hordes of angry Akrid, you’ll mostly be traversing the tundra in your utility rig – a bipedal mech fitted with huge drills and other tools that are perfectly suited for work in harsh environments. You control Jim’s precious exoskeleton in first-person, using different buttons to move various limbs. Holding down R1 for example, raises and rotates the mech’s drill arm, while L1 allows you to reach out and grab things with your claw arm. Movement feels undeniably clunky, and taking on large alien foes certainly takes some getting used to, although this is arguably how piloting a powerful, heavy machine should feel. You can hop in and out of the rig with a tap of the circle button, allowing for some on-foot exploration. The title’s world is made up of numerous areas that are all tied together by annoyingly long loading screens, but their size makes the land appear quite vast. It’s not comparable to open world games, but when pieced together, the map is big enough to allow for some optional discovery. Venture away from the beaten trail and you’ll find T-energy canisters and specialised components that can be used to upgrade your rig, adding things like better armour plating to reduce damage. Unfortunately, like the weapon improvements, there isn’t much to acquire. Equipping your rig with shiny new armaments doesn’t make much of a difference in the long run either, as the only time that you’re forced to use it in combat is during a few boss fights. Pitting a giant machine against huge monsters conjures visions of absolute carnage, but taking on hefty beasts with your rig is a relatively tame experience, where fights are essentially a series of quick-time events. You’ll wait for an opponent to strike, and as their claw or tail comes hurtling towards you, you’ll need to quickly tap R2. Depending on the foe, this will open up another prompt, where you’ll have to use the left analog stick to lift up the creature’s limb, for example, and then attack its obvious orange weak spot. The system’s execution could have been better, but seeing your mech tear the pincer from a struggling alien crab is fun nonetheless. 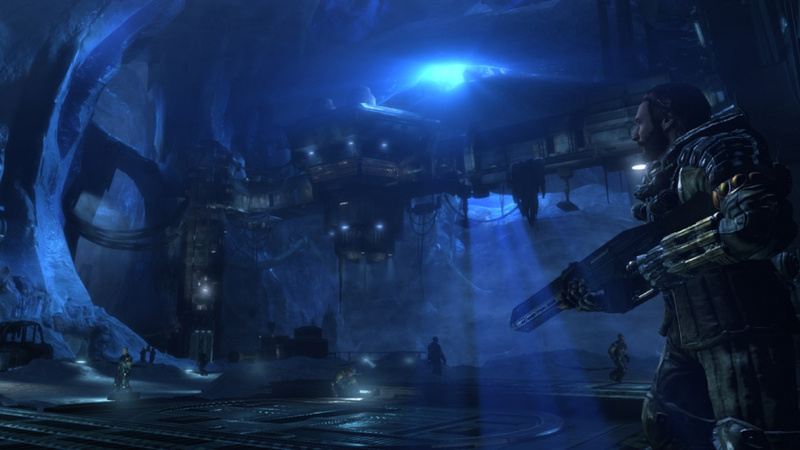 Every mission or optional side quest, of which there aren’t many, begins in Coronis, the home of your fellow workers, and one of the only bastions of safety on E.D.N III. The location serves as a hub, providing opportunities to shop for new equipment, pick up new jobs, and talk to different characters. Most don’t have much to say, but some give interesting insight into the life of surviving in such a hostile place. If you’re looking for even more information on the subject of the planet and its wildlife, there are also text and audio logs scattered throughout the game. These details give the setting some depth, but ultimately you’ll be kept engaged by the title’s surprisingly well-told story, even more so than the gameplay that accompanies it. Jim’s tale is a personal one, where he lands on E.D.N III simply to make a living, thinking that he’ll get back to his family in a year or two. Of course, things gradually slip away from his expectations, and soon he’s at the centre of a potentially catastrophic series of events. Towards the end of the release, proceedings do become a little predictable, but the plot is carried by a genuinely likeable cast of characters, including the very reasonable and relatable lead himself. 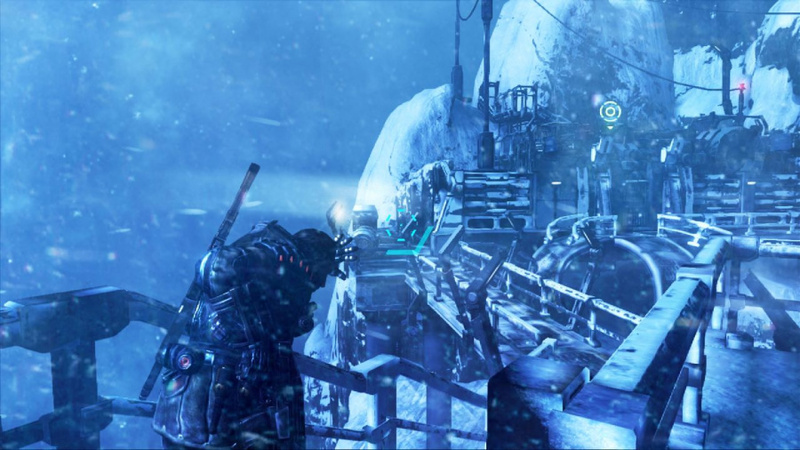 If trudging around in the snow by yourself isn't your cup of tea, you can always venture into the game's competitive multiplayer. Here you'll assume the role of either NEVEC soldiers or snow pirates, and you'll battle the opposing side for resources. The maximum player count sits at a reasonable ten participants, and the maps are sized nicely to accommodate the number; it's hard to go just a few seconds without bumping into an enemy, which keeps the component feeling lively and action-packed. 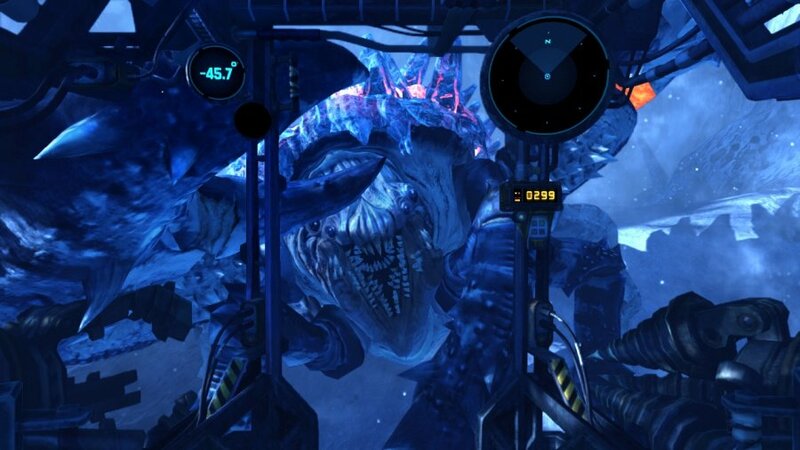 Where the game tries to differentiate itself is the inclusion of AI controlled Akrid, which serve a number of purposes depending on which game mode that you're playing. Sometimes you'll be trying desperately to survive as waves of them come charging at you, and other times you'll be tasked with hunting certain species while the opposing team tries to kill the quarry first. 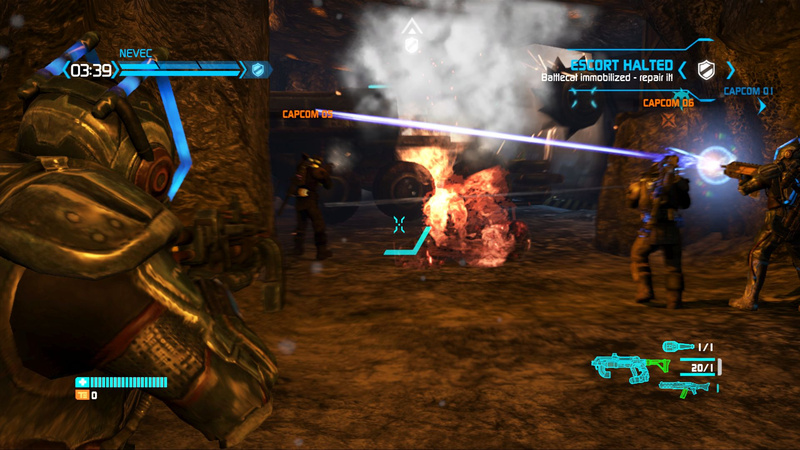 The aliens succeed in bringing a relatively unique dynamic to the gameplay, but overall the multiplayer suffers from the same lack of originality that stifles the single player campaign's gameplay. Overall, its mediocre gunplay and predictable objective-based modes make it a forgettable experience, but it can provide some initial enjoyment if you're a fan of the series' universe. Visually, the game can be hit and miss. Facial animations and character models during pre-rendered cutscenes are of a high quality, and really help to drive the plot. 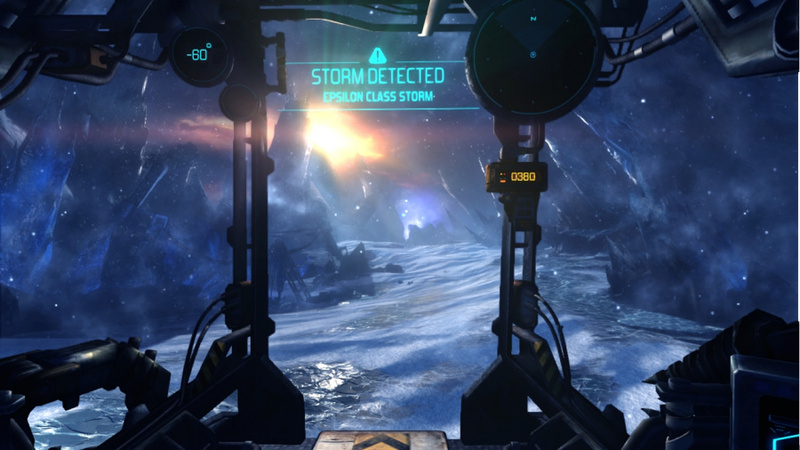 During gameplay, however, animations can look stiff and even unfinished, particularly when switching weapons. Meanwhile, environments are unsurprisingly full of snow, ice, and blizzards, which are all well realised, though uninspired design means that some locations appear very bland. 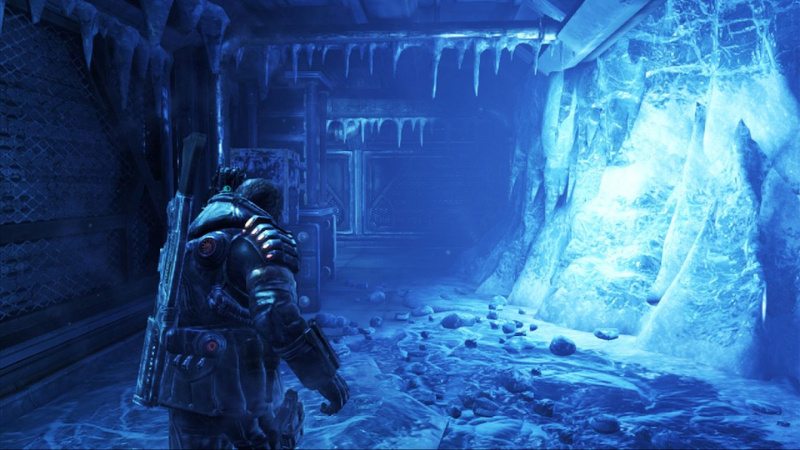 Interior areas fare similarly, consisting of dark corridors and broken-down tech that evoke vibes of Dead Space, without the oppressive atmosphere. As for the title’s audio, there’s a thoughtful option that allows you to play your own music saved onto your PS3 while driving a rig, as well as an assortment of licensed, instrumental rock tunes that gel well with the working-man theme of the game. Other than that, the soundtrack, like much of the game, is serviceable, but fails to really stand out. Solid like a block of ice, and just as unremarkable, Lost Planet 3 is an enjoyable adventure that cobbles together ideas from elsewhere, but doesn’t dig its way beyond the basics. Fortunately, its well-paced story and likeable cast warm the overall experience, melting away most of the gameplay's rigid shortcomings. 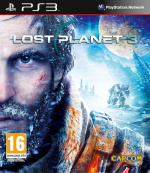 If I'm honest my lost planet 2 is still in plastic sitting on my shelf 3 sounds reasonable but I haven't really seen it advertised. This has been one franchise this gen that has never quite interested me enough to give it a proper go. I tried the original at the 360's launch n it was meh. Played some split-screen co-op on 2 with my mate n it was kinda meh. This sounds like its tip toeing its own tried n trusted formula, so Ill probably just give this a miss. I played a chunk of this earlier in the year. I get what the developer was trying to do, and it seemed like they'd done a competent job of it — but it did nothing to stand out from the dozens of other games already available. Shame really, as it sounds like there's some alright moments and a decent plot. Unfortunately, sometimes being "good but completely unremarkable" is worse than being "bad but really interesting". Good review. I'll probably pick it up someday after a price drop. I don't really mind if it's unoriginal as long as it does a good job of unoriginal. @Jaz007 Yeah, to be fair to the game nothing it does is particularly bad. All of its mechanics are at least mediocre. I certainly enjoyed the adventure as a whole.